I now pronounce you man and…hologram? Yes, as surreal as that sounds, it has become an everyday reality for a 35-year-old man named Akihiko Kondo from Japan who recently married a hologram named Hatsune Miku. 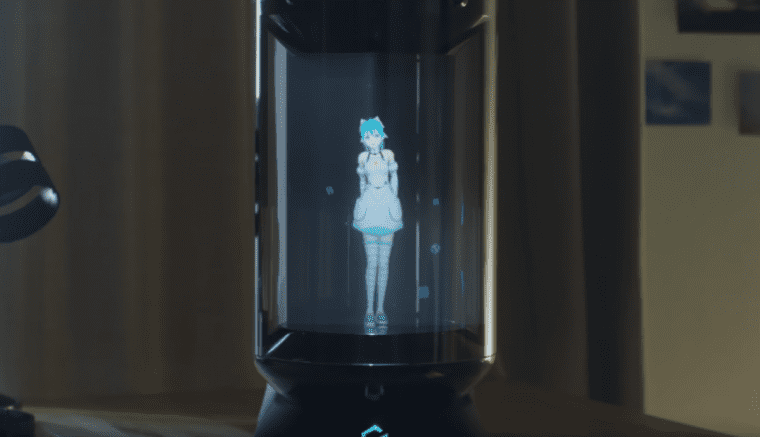 Hatsune Miku is a famous AI (artificial intelligence)-based character in Japan and has become one of the first commercially accessible holograms in the truest sense of the term. The character is also known to utilize an auto-tune voice decoder and performs to large crowds of people as part of a more recent trend combining AI characters and on-stage performance. While the marriage isn’t technically considered “legal” by Japanese law, Kondo wound up spending $17,000 on the ceremony and invited 40 guests, none of whom were from Hatsune Miku’s side of the family – obviously! However, two other people who were not in attendance at the wedding were Akihiko’s parents, who preferred to stay home for the wedding, but gave their blessings anyway. 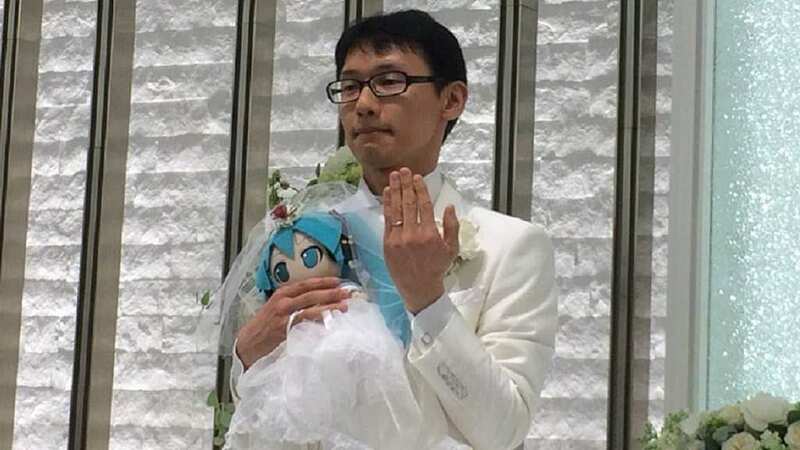 While the wedding was not considered a legal marriage, Kondo says that it has not affected his love for Miku-san and that he vows to honor the vows of the marriage as any other married couple would. Kondo works as a school administrator and says that he hopes news of his wedding will inspire others to pursue love in the way that they see fit (in accordance with the law, of course). After being bullied by a female coworker 10 years ago, Akihiko decided to stay single and since then has found his source of love and happiness in the holographic character. 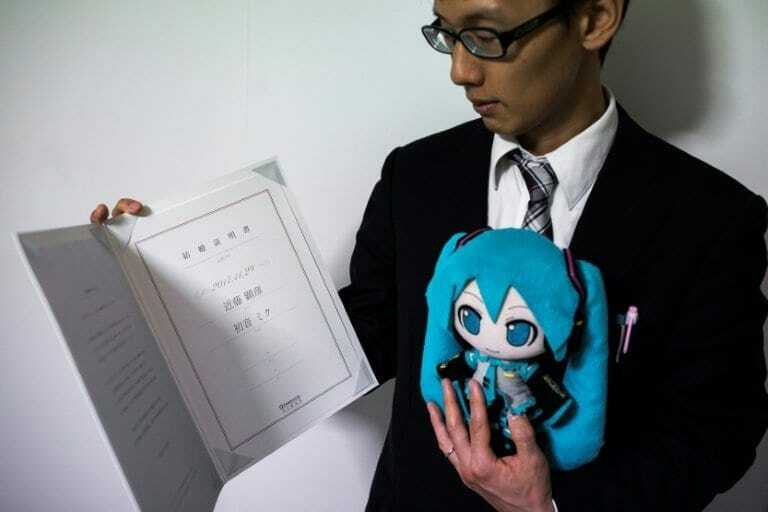 Gatebox, the company responsible for making Hatsune Miku has also stated that Kondo is not the first person to marry a hologram in Japan and, to-date, over 3,700 marriage certificates have been offered by the company to people who have expressed their desire to wed one of their holographic characters! As we move closer to perfecting AI in the future and creating near-real human replicas, who knows? Maybe we’ll start marrying robots?